Should you settle your debts instead of filing bankruptcy? People often ask me it they should settle their debts instead of filing bankruptcy. The answer of course is "it depends". The "it depends" part is really whether they qualify for a bankruptcy filing that would do better than settling their debts directly. For this part, get a consultation (many are free) with an experienced bankruptcy attorney in your area. • Creditors want the full settlement amount, not monthly payments. They already have your agreement to pay monthly and they don't what another one of those. 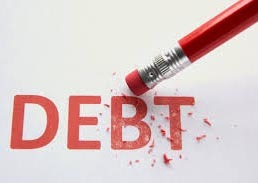 • If you do settle with creditors, for example settle a $10,000 debt for $4,000, that $6,000 reduction in debt is taxable, and without getting any extra income to pay the tax. • If you settle with one or more of your creditors but not all of them, you then pay the settlement amounts out of your dwindling money. But the non-settled creditors could still sue you and get a judgment and you probably would still need to file bankruptcy to protect against that. So you would have wasted that settlement money you paid. • Bottom line? Settling (some) of your debts could easily result in you being worse off than before. You would (1) have lost the money you paid, (2) owe additional income tax, and (3) still need to file bankruptcy.